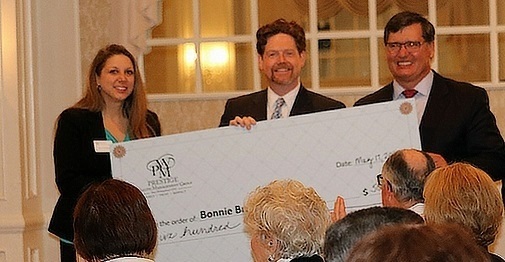 Prestige and clients provided donations to Bonnie Brae and our local V.A. at our economist event recently. Prestige Wealth Management Thanks you! We'd like to thank our clients for attending and donating to the two charities at the recent identity theft workshop. The Hunterdon County YMCA was blown away by all of the generous offerings of coats and warm clothes that will help our local families in need. Additionally, Toys For Tots would like to thank you for helping them get an early start on collecting gifts that will make a difference for children in the upcoming holiday season! 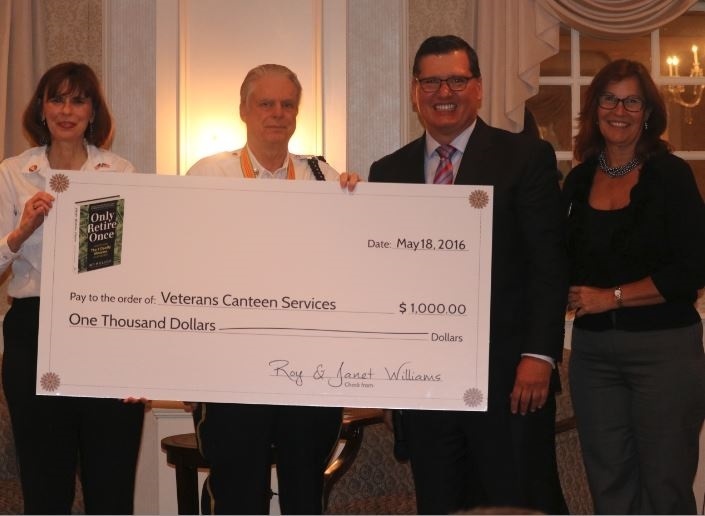 At our recent Economist event in May, Roy and Janet Williams presented a check for $1,000 for the Lyons VA Hospital. 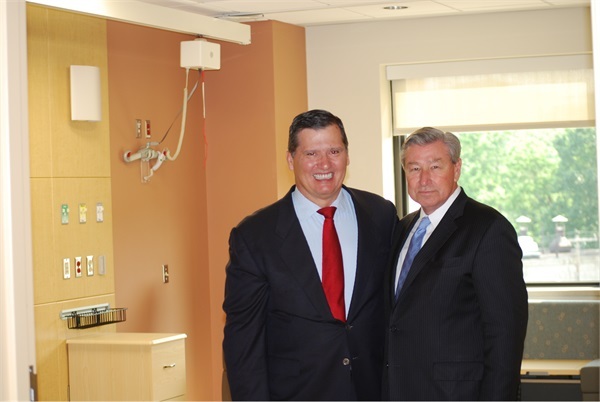 The Lyons VA Hospital along with Family Promise of Hunterdon County were touched with the generosity of Prestige's clients. We would like to thank our clients for attending and for their donations as well. Our summer food drive successfully provided families with food and other essentials. We want to thank our clients for their generosity. Roy Williams (image below) went on a shopping spree as well to do his part to help. 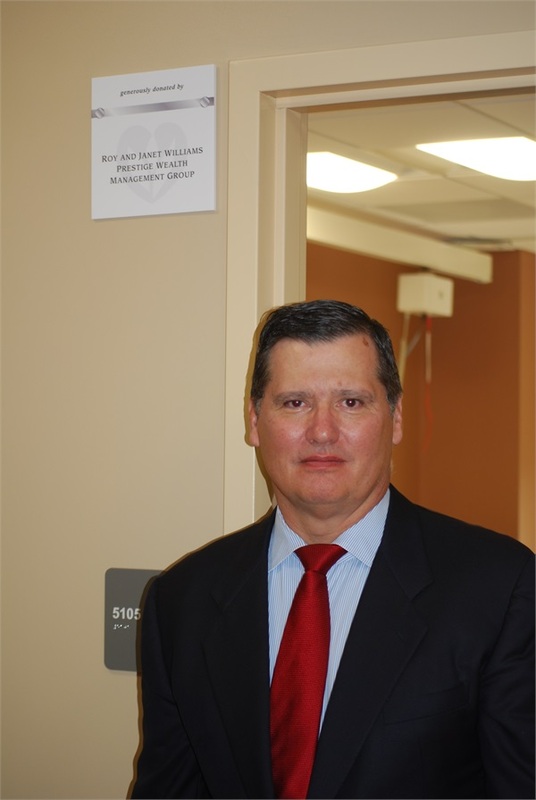 Roy Williams (Prestige Wealth Management Group), contributed to the Hunterdon Medical Center to help add to their new Cardiac Wing. Roy and his wife Janet (see plaque below) appeared to make the donation on behalf of the company. Roy appears with Bob Wise and Joyce Gliniewicz in photos below. In recognition of its continued support and fundraising efforts to benefit “Investing in a New Generation of Care”, the Campaign for Hunterdon Healthcare, Robert Wise, CEO of Hunterdon Medical Center, and Christopher Sickels, Executive Vice President of the Hunterdon Medical Center Foundation presented Roy Williams, CEO of Prestige Wealth Management Group, with a plaque at a brief presentation at the Prestige Wealth Management Group office. Last year Prestige Wealth Management Group along with our clients, donated $1,349.38 to the Hire Heroes USA organization, aiding in helping find veterans jobs upon their return from service. 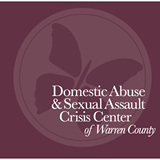 Prestige Wealth Management Group proudly supports the Domestic Abuse and Sexual Assault Crisis Center of Warren County, having donated $500 to aid this organization. Every year, Prestige Wealth Management Group does a food drive to collect non-perishable food items to donate to the Flemington Food Pantry. This year are adding a summer campaign from 6/22 to 8/22 to collect non-perishable food items during the summer season to donate to this great local charity. 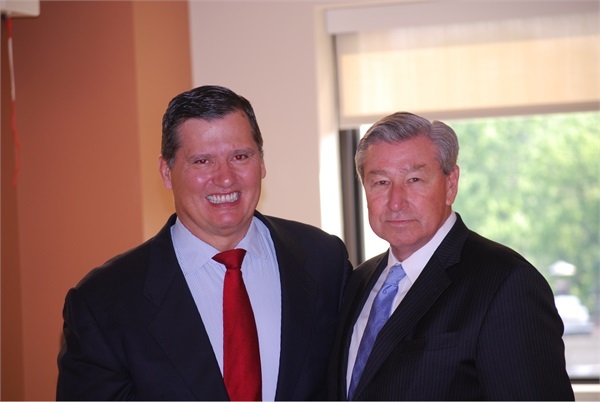 Over the last few years, Prestige Wealth Management Group has continued to raise monies for the SAFE in Hunterdon County, located locally in Flemington. SAFE helps parents and children find a place to go and also helps them get set up with a new life situation in the midst of domestic abuse. Prestige Wealth Management Group was thrilled to take part in an annual tradition, the Hunterdon Holiday Parade, on Sunday, December 2 on Main Street in Flemington. As Hunterdon County Chamber of Commerce members and float sponsors, Prestige members shared the float with the other members of the Chamber, along with Santa and Mrs. Claus. This holiday season, Prestige Wealth Management Group is conducting our 2nd annual toy drive in support of the United Way of Hunterdon County’s Holiday Hands campaign. We hope to collect twice as many toys as last year, which the United Way will distribute to several families in need this holiday season. We are already off to a great start with several donations at a recent event. View the NJ.com article about Prestige’s involvement in the Holiday Hands campaign. Prestige Wealth Management Group’s 6th Annual Charity Golf Outing to benefit SAFE in Hunterdon, a non-profit organization that provides services to victims of domestic and sexual abuse, was held at Heron Glen Golf Course on September 6, 2012. Thanks to the generosity of all who participated, we were able to contribute $7,500 to SAFE in Hunterdon. Prestige Wealth Management Group recently held a collection, during which clients and staff generously donated over 20 boxes of supplies for Operation Shoebox New Jersey. Operation Shoebox New Jersey is a volunteer organization founded in February, 2005, that is dedicated to collecting donated supplies and shipping care packages to U.S. troops based overseas. To date, more than 51,000 packages have been shipped to troops deployed overseas. We would like to extend our deepest thanks to our clients for their generosity. This holiday season, Prestige Wealth Management Group collected toys in our office and at local events in support of the United Way of Flemington’s Holiday Hands campaign. We are proud to say that we collected well over 20 large boxes of unwrapped toys, which United Way will distribute to several families in need this holiday season. Special thanks to our clients for their generosity and to Camryn Williams, daughter of Prestige Wealth Management Group CEO Roy Williams, who was the brainchild behind this initiative. Prestige Wealth Management Group’s 5th Annual Charity Golf Outing to benefit the Hunterdon Medical Center Foundation was held on a beautiful day at Fiddler’s Elbow Country Club in Bedminster, NJ. Thanks to the generosity of our clients, partners, advertisers and staff, we were able to contribute $11,000 to the Hunterdon Medical Center Foundation. Prestige Wealth Management Group’s 4th Annual Charity Golf Outing to benefit the Bonnie Brae School and Residential Treatment Center for Adolescent Boys was held on a beautiful day at the Hopewell Valley Golf Club. Thanks to the generosity of our clients, partners, advertisers and staff, we were able to contribute over $12,000 to Bonnie Brae. View the program from this year’s Charity Golf Outing. We would like to acknowledge our sponsors who have so generously donated money or gifts to make our 4th Annual Charity Golf Outing a success. We encourage you to show your support to them as they have shown to us and Bonnie Brae. View our sponsors. 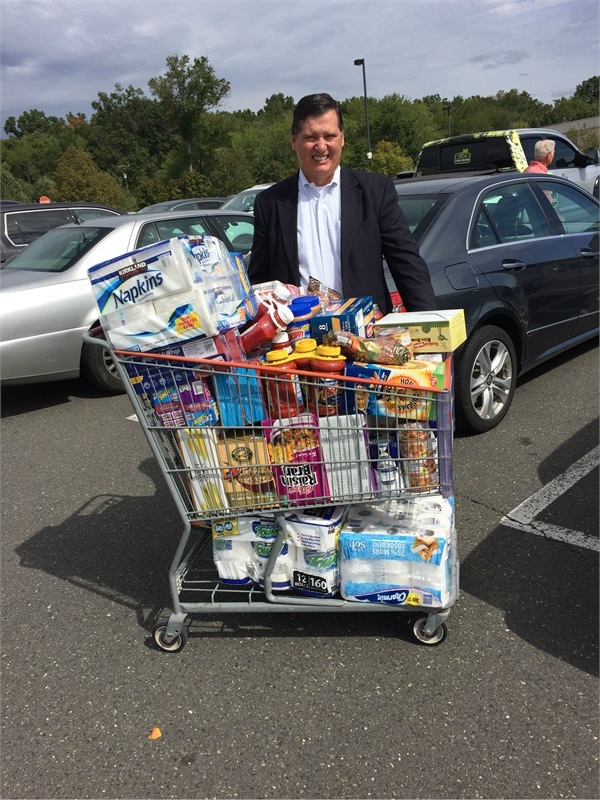 At our June 5th Grand Opening Celebration, our clients and friends donated generously to the Flemington Area Food Pantry. A dozen large boxes of non-perishable food items were collected for the local charity. Prestige Wealth Management Group’s 3rd Annual Golf Outing was held on a gorgeous day at the Hopewell Valley Golf Club to benefit the Susan G Komen for the Cure Foundation in the fight against breast cancer. Thanks to the generosity of Prestige’s clients and staff over $5,000.00 was donated to this worthwhile organization, whose committed to fulfilling the promise of a world without breast cancer. Prestige Wealth Management Group’s Second Annual Golf Outing was held on a beautiful day at the Stanton Ridge Country Club to benefit the National Autism Association. Thanks to the generosity of Prestige’s clients and staff over $7,000.00 was donated to this worthwhile organization, whose mission is to educate and empower families affected by autism and other neurological disorders, while advocating on behalf of those who cannot fight for their own rights. Prestige Wealth Management participated in the Bonnie Brae Polo Classic once again as a Team Sponsor. This year’s event proved to be even more exciting than last year’s, as the Prestige Wealth Management Polo Team forged ahead to win the match. A great day for a great cause! The golfers at Prestige Wealth Management’s first charity golf event played under the hot sun and raised enough money for the Make-A-Wish Foundation of NJ to send a child from Mercer County on his dream trip to Walt Disney World. A world of thanks to all those who participated in the event! Call us at 908-379-8813 or click here to schedule a complimentary, no-obligation appointment.